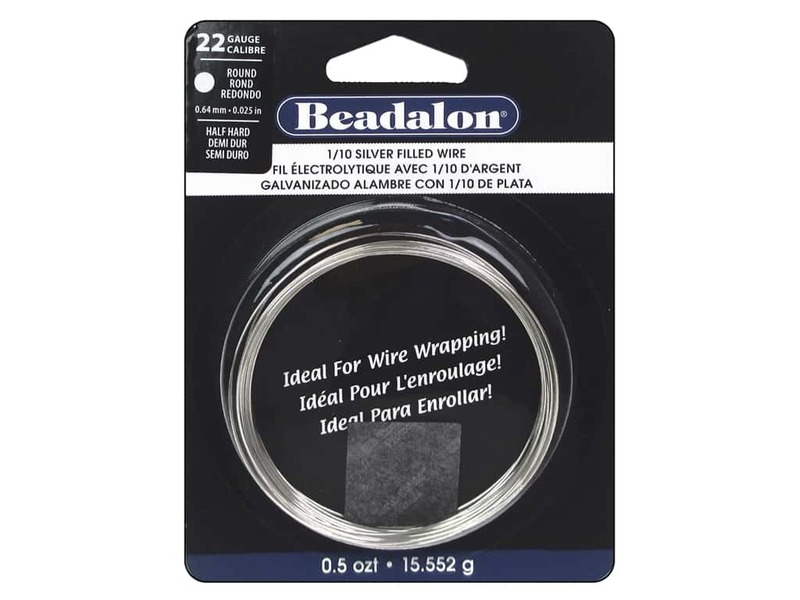 Beadalon 1/10 Silver Filled Wire 22 ga Round Half Hard 0.5 oz. Description: Beadalon 1/10 Silver Filled Wire is similar, in use and appearance, to Sterling Silver Wire, but at a much lower price. Silver Filled means that a layer of Sterling Silver equal to 1/10 of the wire's base metal core weight and been bonded to the exterior. This wire can also be polished and soldered just like Sterling. Half Hard temper makes this wire suitable for most of your wire wrapping applications. 22 gauge. See more Beadalon Silver Filled Wire.